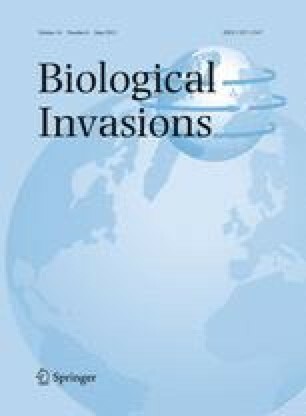 In this study we use a combination of techniques to assess the general risk of invasion by the aquatic invader Dikerogammarus villosus in Great Britain at multiple scales. First, bioclimatic models (Support Vector Machine algorithm) were used to identify regions showing the highest climatic match with the European range of the species, and that might be at highest risk of initial colonization if provided with propagules. The model showed that nearly 60% of Great Britain shows the minimum bioclimatic suitability for the species, particularly southern and eastern England. Afterwards, a Network Analysis was used to model the natural spatio-temporal spread of the killer shrimp in the Great Ouse River catchment (SE England), the first region invaded by this species. This model suggested that the northern part of the catchment, including two relevant Ramsar sites (Ouse Washes and Wicken fen) are at serious risk of being invaded in the short-term (<5 years). Taking into account the rapid spread of the killer shrimp in other European countries, its broad environmental tolerance, the high climate suitability of broad areas of Great Britain to the species, the current spread of other Ponto-Caspian species, and the high natural and artificial connectivity of the hydrological network, we conclude that D. villosus is very likely to continue its spread in Great Britain, dramatically affecting the native biodiversity. The multi-scale approach proposed in this study combines large-scale bioclimatic models with local-scale dispersal models, providing managers with a powerful spatial and temporal basis for informed decision-making. The research leading to these results has received funding from the European Commission (FP7/2007-2013, Marie Curie IEF program) under grant agreement no 251785. The author would like to thank C. McLaughlan for her help with the English editing.